Well, this is it, folks. Prepare your wallets for the impending demand that the latest "toys-to-life" title, Skylanders SuperChargers, will place on them when it arrives later this month on all of the consoles. Which ones, exactly? EVERY ONE! In anticipation of its impending release, Activision has kindly requested that you enjoy these trailers. The first one is entitled, "Go Big or Go Bigger" and features a great performance from that one Skylander dressed like Evel Knievel. The next one, called "Horsepower Meets Firepower," is a subtler affair and has a wonderful twist at the end! See? That one vehicle TWISTED through the air! Get it? 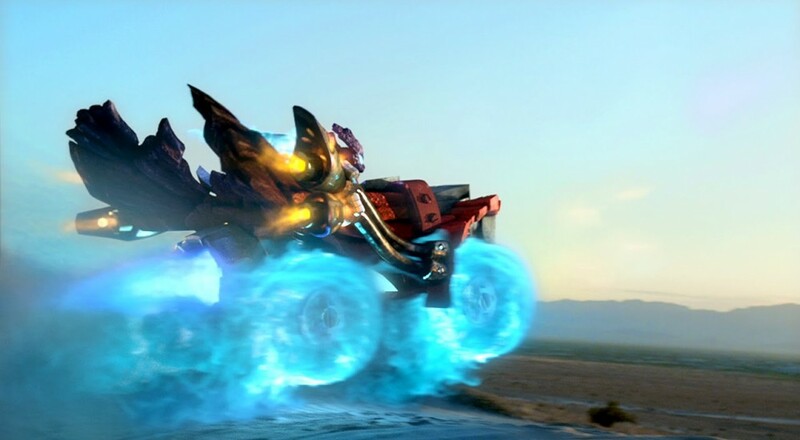 Skylanders SuperChargers hits store shelves September 20, 2015 for... (get ready)... PlayStation 4, Wii, PlayStation 3, Nintendo 3DS, Nintendo Wii U, Xbox 360, and Xbox One. Page created in 0.4108 seconds.